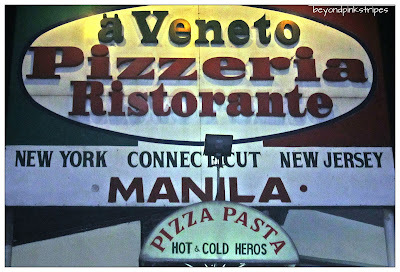 Beyond Pink Stripes: aVeneto Pizzeria Ristorante - Pizza, Pasta, Hero! 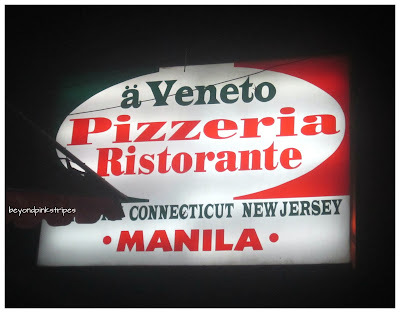 aVeneto Pizzeria Ristorante - Pizza, Pasta, Hero! 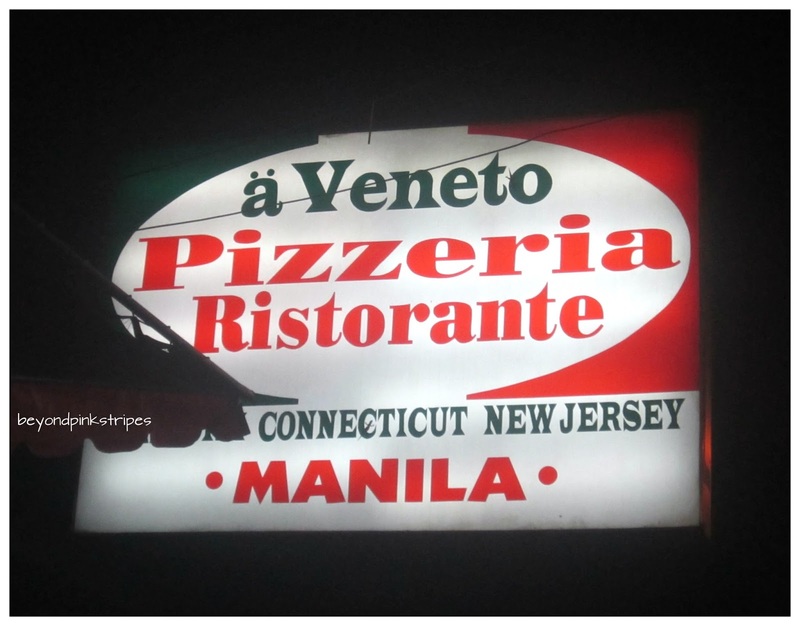 Haha, sorry for that.^^ Anyway, the restaurant is called aVeneto Pizzeria Ristorante. 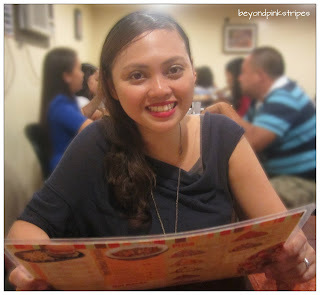 Mandatory "me" shot haha, while browsing through the menu. It was actually the Hubby's first time to dine at aVeneto so I had a say on what to order. I purposely limited ourselves to three dishes so as not to tolerate the glutton in me haha. 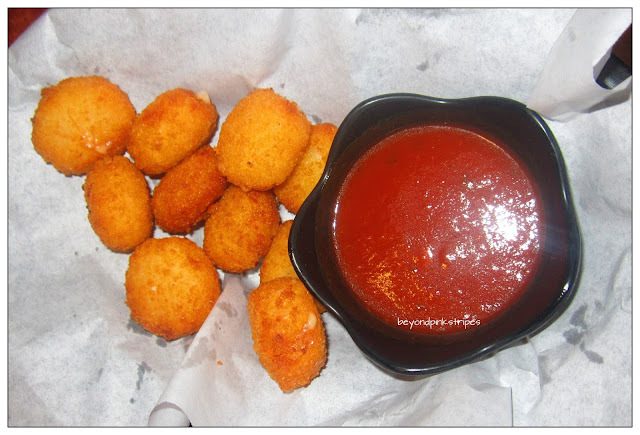 I love anything that has cheese and potato so this appetizer should have been a perfect one. However, Hubby and I noticed that the potato overpowered the rest of the ingredients which made us wonder where the cheese went haha. The dish would have been more appropriately called Potato Munchers .^^ Anyway, I would still recommend it especially as a good alternative to fries. 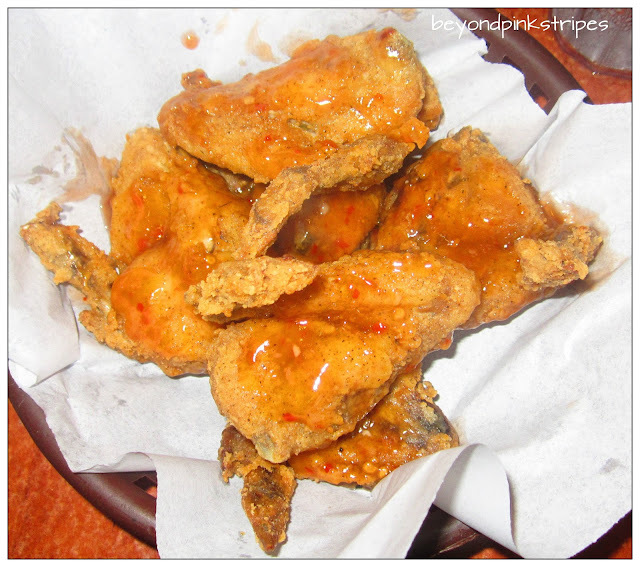 The tomato sauce, by the way, added a much needed twist to the usual "fried food" flavor. I remember having this for lunch with my work pals and since I enjoyed it, I had to let the Hubby have a taste of it too. As expected, he enjoyed it for various reasons. "Pasta's firm, every strand is generously coated with pesto, it's not too oily and serving is good for 2-3 pax, or even more! ", Hubby said. 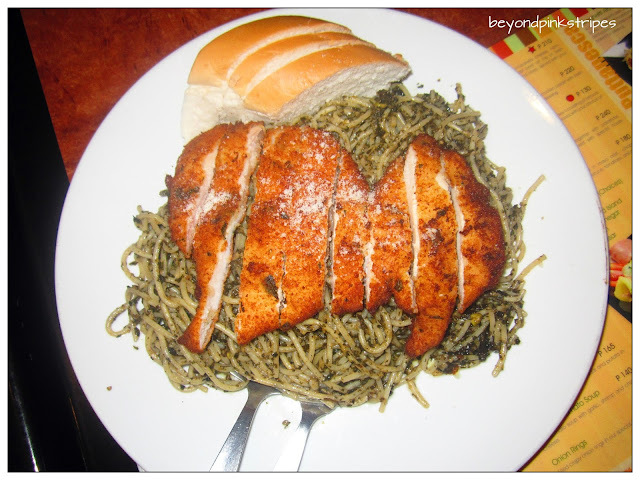 No doubt about the Hubby's observation but so far, I still maintain that the best part of this pasta dish is ...(drum roll)...the fried (and I think herbed) chicken topping! It gives variety to the taste of the dish thus, ensuring that it does not become boring, so to speak. 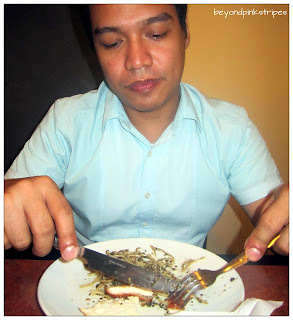 Moreover, I believe that it can be a stand-alone fare meant to be savored with or without the pasta. Of all that I have sampled in aVeneto, this one's gotta be my favorite! I have always loved how each chicken piece retains its crispiness on the outside (and the right tenderness on the inside!) even with the smothered sweet chili sauce. In the menu, it is placed under "Starter" but for just two people, I deem that it is enough to be considered a main course. That particular Fri-"date" night though, I had a slightly different experience with the said dish. Halfway through the Cheese Munchers and Nut-Pesto Pasta, I thought that the waiting time for the Chicken Wings took longer than usual so I had a feeling that our order was forgotten. When I called a waiter's attention, he advised us that preparation will take a while since they're waiting for the oil to be very hot etc. etc. Just an excuse? Maybe, maybe not... LOL. To be fair though, he gave us an option to cancel the order but we were willing to wait at any rate. When the order finally arrived, I told the Hubby that the crispiness was not the same as before. Probably due to rushed cooking? I dunno. Nevertheless, it was still an awesome gastronomic fare. For other branches, click here.